I recently attended a presentation given by Nancie Severs, one of our dedicated volunteers. She had just returned from Vietnam where she donated her time to a school in small floating fishing village. She published a partial account of her experiences organizing a small team to bring one laptop per child to Vung Vieng village. Read how she overcame environmental, cultural and energy challenges to pilot the first deployment ever to this area of the world on the Vung Vieng wiki page. 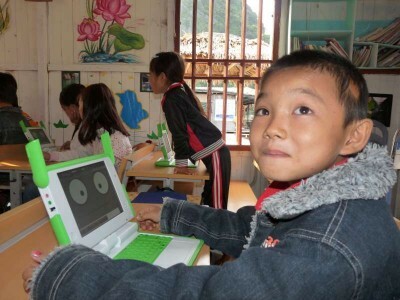 Meanwhile, long-time OLPC volunteer and crack developer Mario Behling has started exploring larger-scale projects in Vietnam, and set up a lovely website (olpc.vn) about the projects there and blogs about them, including Marina’s work in Saigon. Phnom Penh, Cambodia – THE Open Source Technology Event in Asia. My wife is from Cambodia. She was adopted here in Belgium, but now we found her family back! So we’ll be going to Cambodia on a regular basis. Maybe even work there. Sean, thank you for putting the spot light onto our efforts in Vietnam. We are bringing together a fantastic crowd of people here, who will certainly make OLPC Vietnam a big success. 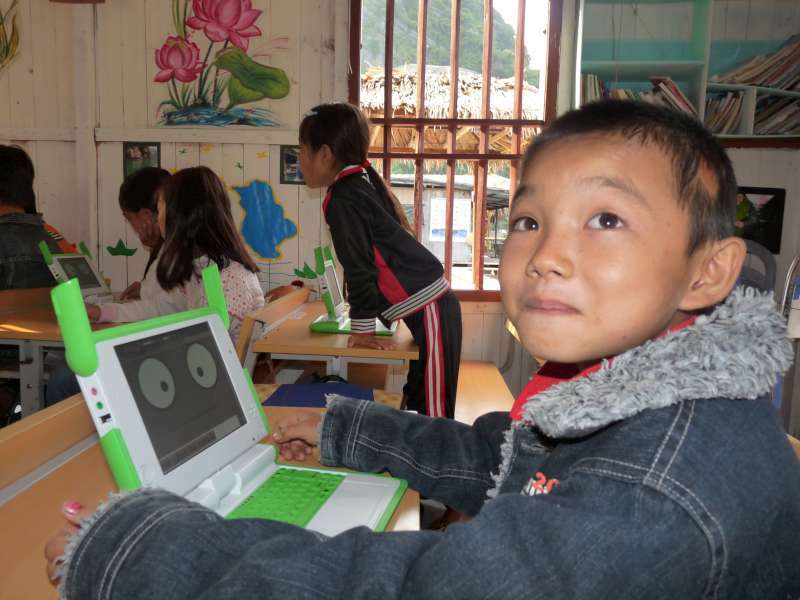 Last November we organized GNOME.Asia (http://gnome.asia) and many of the volunteers and participants were excited to hear about OLPC. While there are challenges, progress is fast and many young people (and older ones as well) are open to new ideas and teaching and leaning methods that put learners in the middle. After learning a lot during my work with OLPC Afghanistan (http://olpc.af) and Mike Dawson I realize even more, that we are facing similar challenges all over the world. And we are profiting a lot from the experience made elsewhere. Just like in Afghanistan, Nepal, Urugay … we need teachers who can help students to achieve the most, teachers who can also work like trainers. Even more than ever before – with the exploding access to knowledge through the Internet and OLPCs, it is impossible to know everything. The XO as a training device is already helping us a lot to push new ideas of working together, sharing and self motivated learning in the region. So, I can see many opportunities for our goals in Vietnam. We are currently also planning to increase public awareness during Barcamp Mekong on May 8 in Cantho (http://barcamp.vn) and FOSSASIA (http://fossasia.org) from Nov. 12-14, 2010 in the University of Technology in Ho Chi Minh City (Saigon). Hope to see you and many OLPC folks there. I would love to have a dedicated OLPC track there. Sean should become a volunteer for One Laptop per Child. Great to more deployment in South East Asia region!! A great step for more to come !! Congratulation to the all and a Happy Year of the Tiger which I think is also celebrated by people in Vietnam.